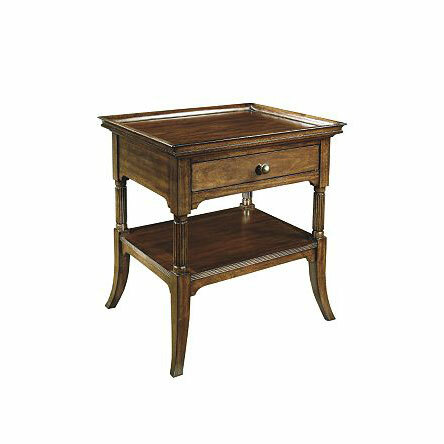 This table has a raised tray top on reeded and flared legs. 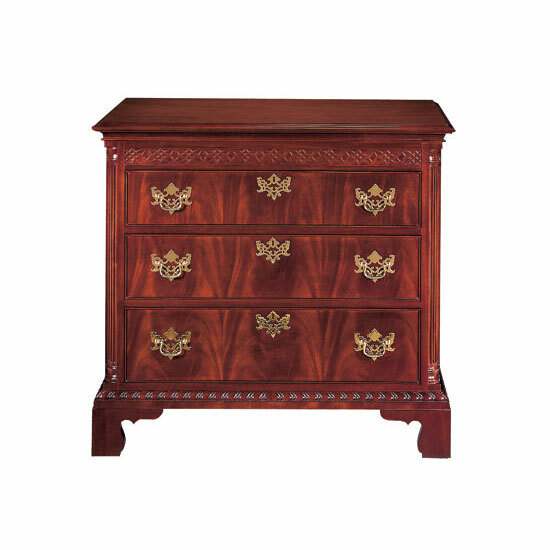 The spherical knob on the drawer has a wedding band detail that adds a jewelry-like touch. Although a bedside table, it is finished on all sides and can be used to float in a living room setting. 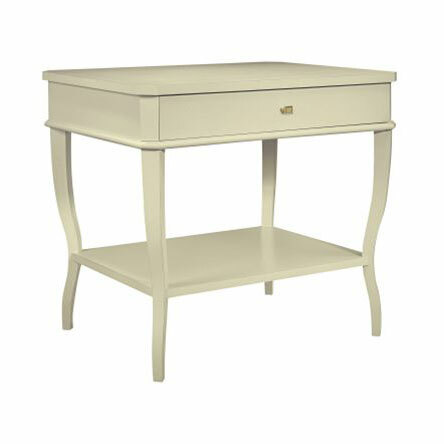 It may be personalized through dozens of finish choices and Customer’s Own HardwareTM. Optional finishes available as 7666-70. 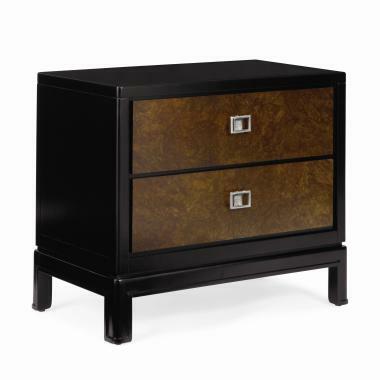 Standard in Dark Walnut finish as shown.